Are you torn between loving clothes but hating the clutter? There’s nothing more frustrating than trying to find your favorite shirt in an overstuffed drawer. Despite having plenty of fabulous clothing you can’t even find it, so what’s the point? 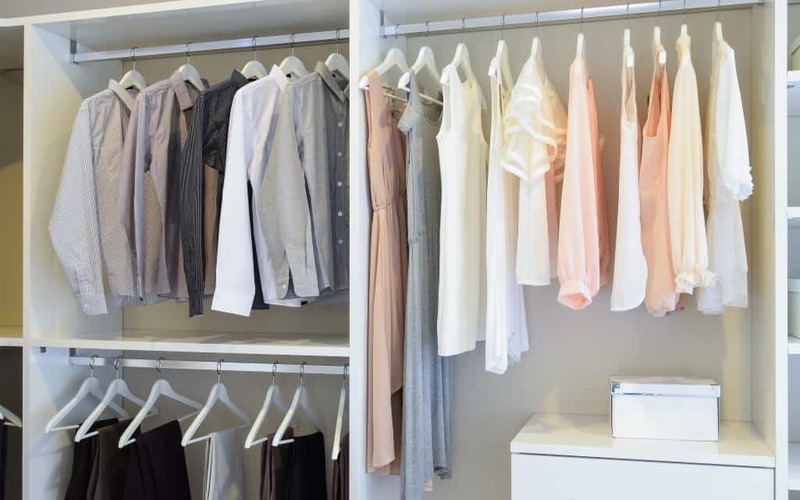 It’s entirely possible to revamp your wardrobe and organize your clothing. All it takes is knowing the right steps to get you started. Take a look at this simple process which will organize your dresser and closet in no time. That’s right, take everything out of every drawer and closet and off of every shelf. Gather every piece of clothing you own and put it on your bed. It’s much harder to organize when everything is still tucked away. Once you’ve got everything laid out in front of you, it’s time, to be honest with yourself. If you haven’t worn something in over a year, ask yourself if you really need it. Create a pile of things you plan on selling or giving away, and put them aside. Folding bulking clothes like big sweaters or thick jeans will only take up more room in your drawers and shelves. Ideally, you should hang bulky clothing, so it takes up less space. If you don’t have enough closet room, then consider rolling up these items and keeping them below your bed or high up in a box. For small items like stringy thongs or tank tops which can get lost in the mix easily, use containers to keep them contained. Instead of digging through a swamp of socks and underwear, you can easily find them in one single space. Each drawer should be seen like a business file. Only relevant information should go inside. That means one drawer has your shirts, one drawer has your shorts, and one drawer has your workout clothes. By assigning everything a place to live, it’s much easier to find when you need it. Remove cold weather clothes from your closet and drawers when it’s warm outside. That way you don’t have to sift through things you won’t wear for six months. The same goes for during the winter. Remove your shorts and tank tops which you obviously won’t be wearing the snow. Store these clothes somewhere you won’t see them for a while like in the basement. Every six months to a year take all of your clothes out again and make a new assessment of what you still need. Not only will it keep your closet in order, but you can even make a legitimate business out of it selling used clothing for a profit.